Ahead of next week’s global security event, Security & Policing 2018, BMT’s Head of Information Systems and Information Assurance, Simon Luck highlights the importance of agility to ensure Government departments and agencies can quickly and effectively respond and manage future cyberattacks. 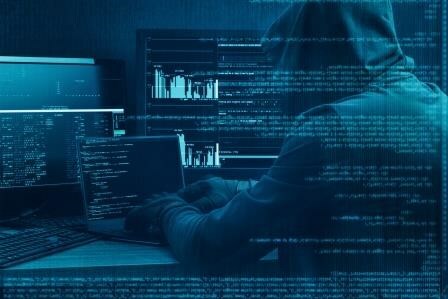 “Recently, we have witnessed the sheer breadth of some of these cyber investigations where it involves multiple agencies and the need to trawl across numerous areas of the dark web to determine potential links. Agencies must continue to be agile in their approach by being responsive to changes in techniques and equipping themselves with sophisticated data analytics platforms and applications – only then will they improve their chances of catching the cyber criminals,” explains Simon Luck. Currently working with the Home Office, Ministry of Defence and the National Crime Agency, BMT delivers a range of bespoke digital solutions for the security industry. BMT’s data scientists will be on hand at the show to talk about its full range of capabilities including intelligence analysis tools (extracting intelligence from large unstructured data sources). Top discussions are expected to be around the design and development of big data cyber analysis architectures, as well as UAV and web technologies to better prepare emergency responders. BMT’s immersive training solutions supporting the latest VR and AR technologies will also be on display. Its mission planning systems combine both the cyber and physical environments to offer far greater situational awareness to understand the best course of action and is strengthened by its human factors experts who can ensure these systems for fit for purpose. This dovetails with BMT's Cyber Security Service – which combines skills from threat intelligence, security architecture and data science to deliver enterprise resilience for high performance and critical information systems. QinetiQ, Atkins and BMT have collaborated to form the Aurora Engineering Partnership.